This challenge is Coca Cola (KO) before Warren Buffett bought in 1989. Since I have studied KO quite a bit, I know what they ended up doing, and why they made some of the decisions that they did. Since I have studied Coke quite a bit, I will not go into detail on what I would have done too much. 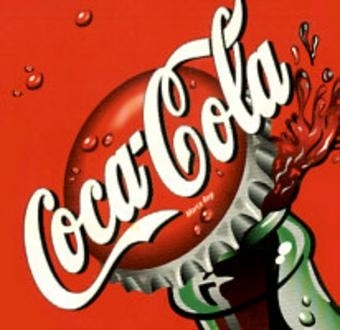 All that I will say, is that I would have done what they did ended up doing and consolidated, sold off non-core businesses, and concentrated on the core business of selling, distributing, producing, and expanding the market of the Coke syrup and the Coke brand around the world. With an emphasis on expanding internationally. I would have treated them in the same way I am treating Vivendi now, which I detailed in my Seeking Alpha article on them. The major difference between the two companies is that Coke is a producer of some of the major assets, and Vivendi is not. All numbers are in millions of US dollars, except per share information, unless otherwise noted. That is the very low estimate of value. I would only have used this estimate as my base case if we were in some kind of recession or depression. This is what I would have used as my base case estimate, and the value I think that is probably closest to the actual share price at that time. A per share price of $50.16. This is what I would probably estimate the intrinsic value to be, probably still a bit too conservative. I would have wanted at least a 30% margin of safety to that, so I would have bought around $35 per share. The margins are incredible. Revenue, EBIT, and gross growth rates are very good. Best of all, even then they had dominant competitive advantages and positions in the soft drink market. They had huge opportunities for growth outside of the US. They had more suppliers and distributors coming online all the time. They were improving relationships with the local economies. They had dedicated people willing to go to extremes to sell the product. More importantly they had customers who were buying more and more Coke every year. Meaning they could make more money from each can they sold overseas. I would have been constantly evaluating my investment thesis and waiting for a buying opportunity. I suggest everyone go over to whopperinvestments.com to see the analysis he did of DQ before Warren Buffett bought it. The first link is WI’s readers analysis and valuations. The second link is Whopper’s analysis and valuation. I especially think we should learn from Whopper’s, Red’s, and ABVs’ analysis and valuations as those are the best in my opinion. Pay attention to how they think about DQ, and the reasons they gave for why DQ was such a great business to buy. I have to admit I have not checked this guy out yet so I cannot vouch for the quality of either this course he is offering or the book he wrote. However, I thought I would put this up here in case anyone wanted to take his course. The information about the course and the link is here. Please let me know what you think about the course and the book if anyone decides to look into them. Here is my submission for this weeks challenge: Dairy Queen before Warren Buffett bought it. I am going to give the valuations first and then my thoughts afterwards. Dairy Queen valuations done using 1997 10Q and 1996 10K that were provided. All numbers in millions of US dollars, except per share information, unless otherwise noted. 218.6/22=$9.94 per share reproduction value. Cash and cash equivalents are 61.2, including marketable securities. 14.7/22=$0.67 in net cash per share. I am guessing that before Warren Buffett bought Dairy Queen it was selling for around $20 per share. Warren Buffett probably bought Dairy Queen for between $25-28 a share. Estimate of market cap is 440. Enterprise value estimate includes market cap+ debt, minority interest, preferred shares – total cash and cash equivalents. Normally being a very conservative investor I take the lowest value I get, in this case the reproduction value, and use that as my base estimate of intrinsic value. I then need at least a 30% margin of safety from that and preferably a 50% margin of safety. However, seeing as how Dairy Queen had high margins at that time, I would have used the $17.40 per share as my base estimate of intrinsic value. I would only have bought DQ at that time if it was selling for under $12 per share. I doubt it was selling for that low of a price. I would have continued researching DQ since it had high margins, had a low estimated EV/EBIT, was paying down debt and was almost debt free after paying it down, had a decent amount of cash on hand, and had been buying back shares. I also liked that shareholder equity and sales had been growing steadily as well. I would have reevaluated buying them if they got close to that $12 per share price. I also would have needed to do research into McDonald’s, Burger King, Wendy’s, etc before even contemplating buying. I am guessing DQ had about a 10 or 15% market share at that time and were competing against goliaths who had more resources than they did. I am excited to read the solution and to see what other people figured out. Fastest way to learn what you could be doing better is through critique and learning from others examples. For those who want to follow along in the comments section or attempt the challenge themselves please go to his site.